I've got a product but I'm still reluctant to try it due to previous heartbreaks! 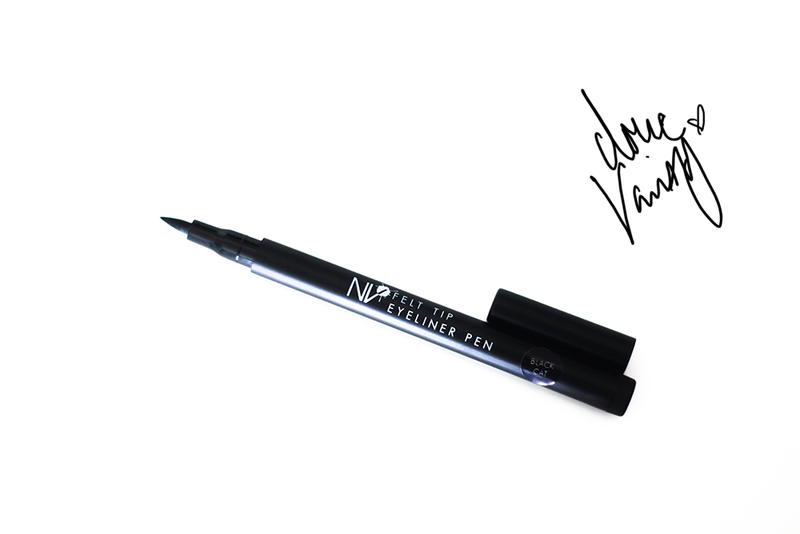 Honestly, I've never favoured felt tip liner pens, the ones I've tried previously have failed me, which lead me to revert back to a favourite liquid liner but I wanted to try this pen because well, you never know. What's the verdict? I wish I had more thumbs to give this pen 4 thumbs up!! Not once did I experience any drying or dragging of the lid due to the lack of moisture of the felt tip. That is what I've had issues with before yet with this one it's plain sailing and I'm absolutely happy *cue Pharrell*, I found a pen that works for me. It's not waterproof or smudge proof as I noticed when I thought I was smart and rubbed my eye corner and ended up with a faint near missing wing but that being said it was 8 hours after I had first applied it but 11 hours after the initial application, the black hadn't faded and my liner shape was still in it's feline prominence. I can't really complain. It's available in two other shades "Twilight Purple" & "Blue Velvet"
Wow, I really love how you did your eyeliner. It looks stunning! Your eye make up is gorgeous by the way.